How to play 1080p/720p VOB to iPhone 8/iPhone X for Mac? Play 1080p/720p VOB to iPhone 8/iPhone X? VOB standards for "Video Object". It is a kind of movie date file from DVD-Video discs, always stored in the VIDEO_TS folder. Besides VOB files, you'll find IFO and BUP files inside the VOB folders which contains the features of the DVD movie. You can play it with VLC or DVD player, but if you want to put and play VOB videos on the all-new iPhone 8 and iPhone X, you should take the video format into consideration. Currently, iPhone only supported certain video files in H.264/MP4G-4 MP4 format. If you have some 1080p or 720p HD VOB movies and want to transfer them to iPhone 8 to enrich your movie entertainment, first, you need to convert VOB video format to iPhone Mp4, this article will share you how to play 1080p/ 720p VOB movies to iPhone 8/iPhone X with a 3rd party tool – iFunia iPhone Video Converter for Mac. Click the Media Browser icon at the upper right corner, and navigate to the VOB files you need to import to the app. This VOB to iPhone converter supports drag-drop and batch conversion, so you can import and convert several 1080p/720p VOB files at a time. Use the "Output Format" on the bottom of the window to control the output format. 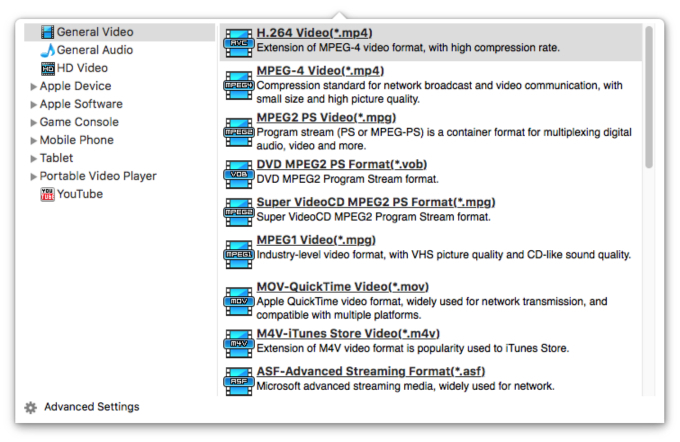 Select iPhone output format for each video file and specify a directory on your computer to save the output files. Click the the conversion button to start the 1080p VOB to iPhone Conversion. The converting speed is extremely fast and you can view the converting progress from the Progress Bar. When the conversion done, connect your iPhone to computer and sync the converted videos to iPhone with iTunes. That's all for playing VOB on iPhone! Now you can enjoy your favorite 1080p/720p VOB videos on your loved iPhone without any limitation! What's more, you can also play AVI on iPhone, play MKV on iPhone, import AVCHD MTS/M2TS videos to iPhone, etc. with the help of this iPhone Video Converter.